J M BUDDHA GROUP OF INSTITUTIONS is established as one of the top Management Education, Environment Management Education, Industrial Safety Management and Computer Education (Hardware & Software), Journalism & Mass Communication & Hotel (Catering) Management centers in the country. This is the first Management Institute in Bihar which has started education in Environment Management. J M BUDDHA GROUP OF INSTITUTIONS is the authorized study center of :-KSOU,EIILM,VINAYAKA MISSION ,CMJ,ST.PETER UNIVERSITY T.N ,SWAMI VIVEKANAND UNIVERSITY SAGAR . *****FEATURES-* (i) It provides distance and regular courses from different universities. 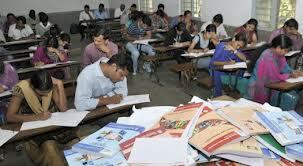 ** (ii) It is recognized by AICTE & NCTE, UGC, SBTE. ***(iii) one time sitting facility for both Regular and Distance courses . **** (iv) Admission open for Academic and Yearly both mode. ****(v) Required Block level BLOCK EDUCATION EXTENSION OFFICER.